In the wake of his thrilling 10th round knockout over former WBA interim heavyweight champion Luis Ortiz, we have seen WBC heavyweight champion Deontay Wilder ascend his popularity even further. Wilder stopped the brave Cuban southpaw in the 10th round of their battle inside of the Barclays Center. It truly was an ebb and flow type of contest that saw Ortiz come out strong early, before Wilder dropped him in the fifth and hammered him some more in the sixth. 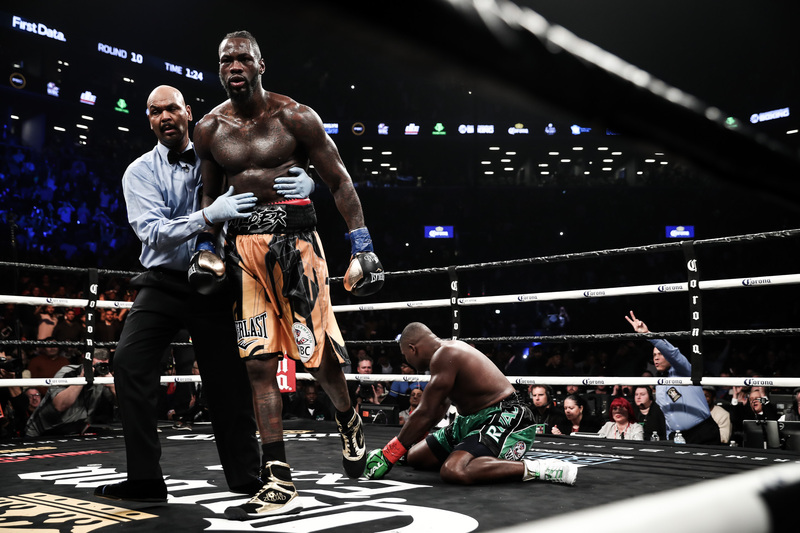 But Ortiz dug deep and began to turn the tide of the fight, hammering Wilder in the seventh and appearing to be close to a stoppage of his own. But, just like that, Wilder ended things with an explosive onslaught in the 10th round that registered two knockdowns and ended the fight. The fight Wilder truly desires is a crack at WBA/IBF champion Anthony Joshua, as it’s a boxing match that has the potential to transcend the popularity of the sport. DEontay promises victory and will be ringside inside of the Principality Stadium in Cardiff on March 31, live on Sky Sports Box Office as Joshua will face off with WBO heavyweight champion Joseph Parker. Perhaps then we can get some more clarity into a Wilder vs. Joshua match, assuming ‘A.J.’ can win on the 31st. Joshua’s promoter Eddie Hearn had revealed that he would happily consider making the fight if both men emerged successful in their title defenses. Wilder has held up his end of the stick, and again has his eyes on the Olympic gold medalist. What Wilder can detect is hesitation from the end of Joshua and his side. “It seems like they aren’t in a rush to fight me because I am the most dangerous man in the world, I am the most baddest man on the planet and I proved that tonight,” said Wilder. “This [win] solidified my position at the top of the food chain and soon there will be one champion, one face, one name and he goes by the name of Deontay Wilder,” the Alabama native added. Wilder isn’t in a rush to pass judgement on the Joshua vs. Parker duel, however. Wilder believes his life-and-death victory over Ortiz will be remembered as a career-defining moment for him and gave praise on the Cuban for his efforts during the epic bout. Wilder is definitely becoming a champion of the times. Let’s hope we can see him in the fights he and the public want most.